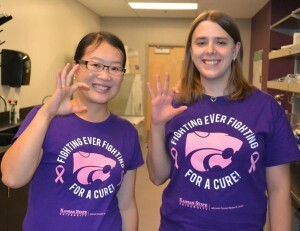 Thanks to our generous supporters, we were able to invest $227,500 in K-State cancer research and education last fall! 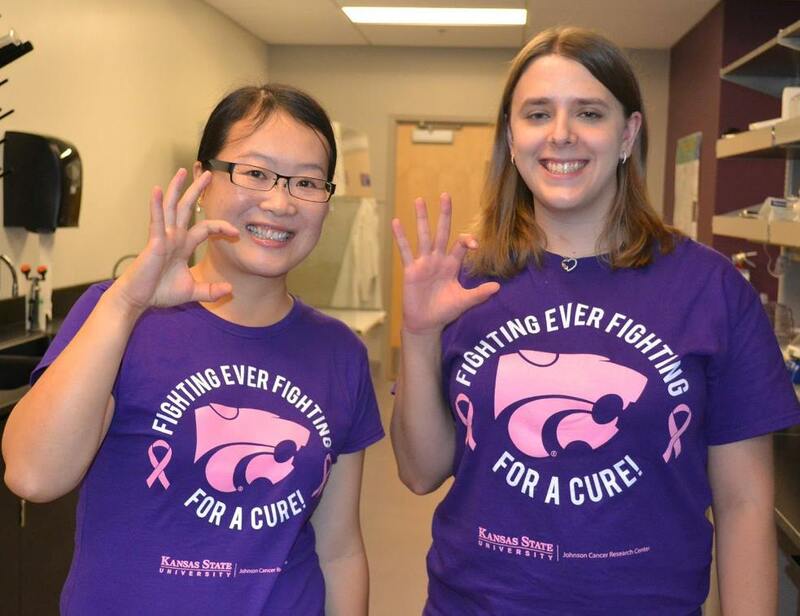 Our competitive awards encourage excellence among K-State cancer research faculty and students, and ensure we help advance the most promising cancer research projects. Awards are offered each semester and spring award applications are due March 1. We awarded $105,500 in Innovative Research Awards for seven cancer research projects in six departments, and $25,000 to support three laboratory equipment purchases. View list of all faculty awardees. Dr. Mei He (left) received a $20,000 Innovative Research Award to develop a diagnostic test for ovarian cancer. Forty-six outstanding students were selected for our undergraduate Cancer Research Award program, which offers faculty-mentored laboratory research experiences and $1,000 awards to each student. 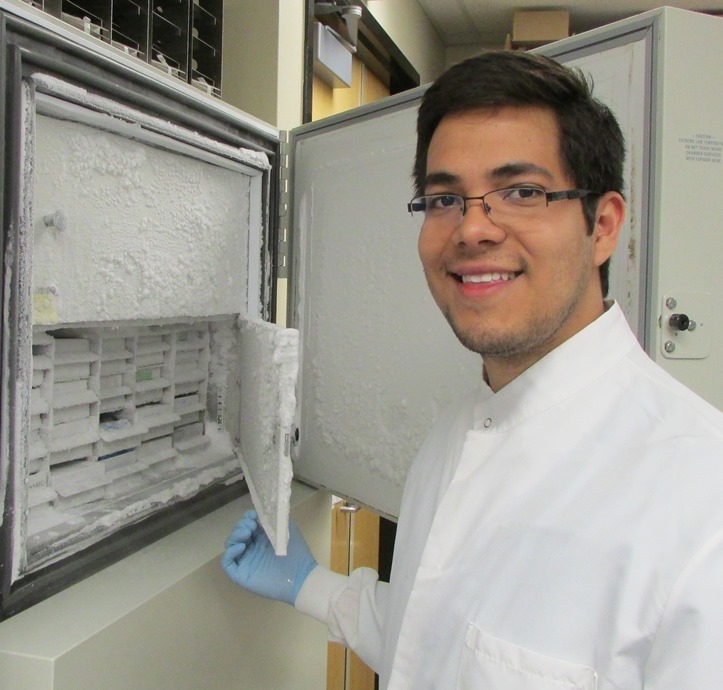 German Cuevas is a three-time Cancer Research Awardee working in Dr. Lorena Passarelli’s lab. The students co-wrote research proposals with center-affiliated faculty and will carry out their research this semester. Faculty mentors receive $1,000 per student to cover research expenses. A banquet to honor the students will be held March 27. More about the program and awardees is in our news release. Travel awards totaling $5,000 were provided to four graduate students and post-doctoral fellows to support their attendance at professional meetings to present their research. View list of all student awardees.